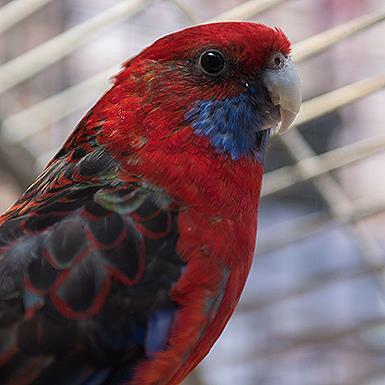 Superman is an older adult Crimson Rosella. He came from a major hoarding situation and like many Rosellas, is very shy. Superman would prefer a home where he can stretch his wings. He is bonded to Lois Lane, and they must be adopted together.